Beth Moeller represents both employees and employers in all aspects of employment and civil rights litigation, and has litigated a number of complex wage and hour collective and Rule 23 class actions. Beth has litigated single plaintiff, multi-plaintiff, and class and collective action cases in federal and state courts around the country. Beth advises clients on a variety of compliance issues under the Fair Labor Standards Act and other applicable laws and regulations. She has represented clients in cases involving allegations of discrimination, retaliation, harassment, wrongful termination, failure to accommodate, breach of contract, and other violations of state and federal law. Clients regularly seek her client-centered practical advice and innovative solutions for preventing and mitigating the risks arising in the workplace. Beth partners with her clients to determine the best way to meet their needs, whether it be negotiating early case resolutions, or aggressively and cost-effectively representing her clients in cases brought in state or federal court. Beth also represents clients in litigation and counsels them on all aspects of employment law, including Title VII of the Civil Rights Act, the Age Discrimination in Employment Act (ADEA), the Americans with Disabilities Act (ADA), the Fair Labor Standards Act (FLSA), the Equal Pay Act (EPA), the Family Medical Leave Act (FMLA), and civil rights violations, as well as state law causes of action such as wrongful discharge, defamation, intentional infliction of emotional distress, and negligent hiring and supervision. 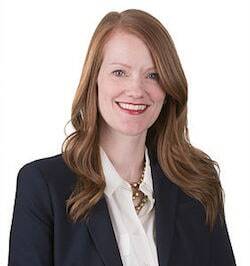 In addition, Beth provides advice to clients concerning litigation avoidance, employee handbooks and personnel policies, leaves of absence, employee discipline, hiring and termination issues, noncompete and nonsolicitation agreements, trade secrets, reductions in force, and other personnel matters. Represented nationwide retailers in concurrent nationwide collective actions and statewide class actions brought under the Fair Labor Standards Act and related state wage-and-hour statutes. Represented an upscale national discount retailer in collective actions. Represented a nationwide pharmacy chain in defending actions under ADEA, ADA, Title VII and Section 1981. Assisted an online service provider with a comprehensive audit of job classifications and compensation practices.